Let me get this off my chest first. I’m not a BBeliever. Not the Bieber por favor. But seriously I have ridiculously oily skin and most BB Creams I have tried in-store are simply too dewy for me. Dewy+Oily= WTF Pores! But see I’m also concerned with maturing skin. I’m in my late 30s and even though oily skin has gifted me with unnoticeable wrinkles yet, aging loses skin’s elasticity. Aging + Sagging= WTF Pores! Lastly, I’m the type who’s always in a hurry in the morning so a multi-tasking product that gets the job done is like manna from heaven. Now that you know my concerns and somehow you can relate, let’s talk mano-a-mano. 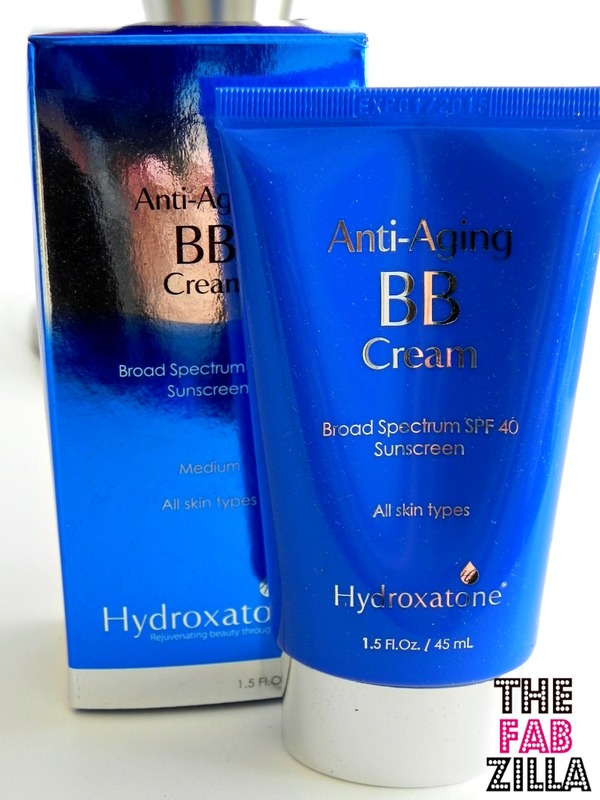 I had the opportunity to try Hydroxatone Anti-Aging BB Cream and in case you don’t know yet (which I assume you do), BB cream is your makeup and skincare in one. Hydroxatone in particular, claims to cater to all skin types, has SPF 40, hydrates, de-ages, protects, brightens and perfects skin in just one step. Ingredients: Active: Titanium Dioxide 12.16%. Inactiv: Water, Cyclopentasiloxane, Butylene Glycol, Aluminum Starch Octenylsuccinate, Cetyl PEG/PPG-10/1 Dimethicone, PEG-10 Dimethicone, Phenyl Trimethicone, Caprylyl Methicone, Neopentyl Glycol Dicaprate, Glycereth-26, Ascorbyl Glucoside, Dimethicone, Alumina, Dimethicone/Vinyl Dimethicone Crosspolymer, Sodium Chloride, Dipropylene Glycol, Disteardimonium Hectorite, PEG/PPG-20/15 Dimethicone, PEG/PPG-18/18 Dimethicone, Panthenol, Hydrolyzed Wheat Protein/PVP Crosspolymer, Caprylyl Glycol, Phenoxyethanol, Alcohol, Acrylates/C12-22 Alkyl Methacrylate Copolymer, Potassium Hydroxide, Boron Nitride, Methicone, Sodium PCA, Propanediol, Citrus Aurantium Dulcis Oil, Hydroxyethylcellulose, Tocopheryl Acetate, Allantoin, Dipotassium Glycyrrhizate, Urea, Silica, Disodium EDTA, Malus Domestica Fruit Cell Culture Extract, Triethyoxycaprylylsilane, Adenosine, Propylene Glycol, Glycerin, EDTA, Ethylhexylglycerin, Oligopeptide-68, Sodium Hyaluronate, Ceramide 3, Lecithin, Viscum Album (Mistletoe) Leaf Extract, Melissa Officinalis Leaf Extract, Humulus Lupulus (Hops) Extract, Foeniculum Vulgare (Fennel) Fruit Extract, Chamomilla Recutita (Matricaria) Flower Extract, Achillea Millefolium Extract, Beta-Glucan, Xanthan Gum, Glycine Soja (Soybean) Oil, Sodium Oleate, Sodium Phosphate, Tocopherol, 1,2-Hexanediol, Phytosterols, Squalane, Olea Europaea (Olive) Fruit Oil, Hydrolyzed Pea Protein, Butyrospermum Parkii (Shea) Butter, sh-Polypeptide- 7, Hydrogenated Lecithin, Fragrance, Potassium Sorbate, Benzoic Acid, Sodium Benzoate, Methylparaben, Iodopropynyl Butylcarbamate, DMDM Hydantoin, Iron Oxides. Pictures speak a thousand words so before I share my thoughts, here’s the before/after and swatch (medium shade). Before is au naturel, facing direct sunlight (by the window). After is with Hydroxatone, still with direct sunlight. Noticed any difference? Okay let’s talk again. The medium shade looked a bit lighter for my skin tone. It also produced a white cast, which is typical for sunscreen products. As to be expected, the dewy finish is there. Look closer, cheeks don’t lie beauties! Now here’s a quick fix for the oiliness dewiness, see I don’t give up that easily! Lightly dab a blotting paper over your t-zone or whole face to absorb the extra moisture and then seal with matte powder. Blending is a bit harder because the formula is thicker compared to a tinted moisturizer (I used foundation brush for obvious hygienic reasons). I also had to blot my face three times throughout the 8-hour wear. It does blur my open pores when blended and buffed properly. 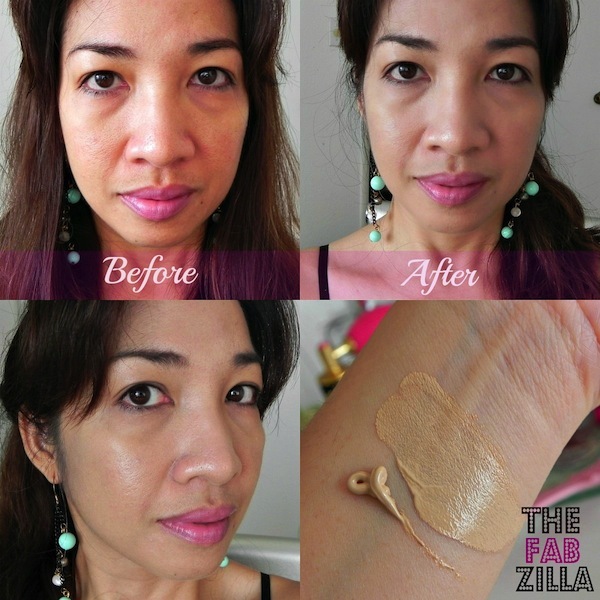 I don’t need a primer to make it last through the day (maximum 8 hr-wear). It has citrus scent which I adore during summertime. Since it has SPF 40, I am protected against the mighty Hawaiian sun. And most of all, it didn’t break me out! As to the promise of anti-aging, only time can tell. Wait til I’m 80, by then we’ll be probably talking about ZZ Cream. Who knows, anything is possible. Looks nice on you, would love to try it too!